Master Bedroom: 11'11" x 14'11"
Bedroom 2: 11'8" x 11'10"
Bedroom 4: 8'5" x 8'5"
DINING ROOM: 11'1" x 12'3"
FAMILY ROOM: 14'2" x 28'8"
UTILITY COSTS: Electric: Approximately $260.00/mo. avg. ; Gas: Approximately $70.00/mo. avg. NOTES: Home to include refrigerator, microwave, stove, dishwasher and all window coverings. 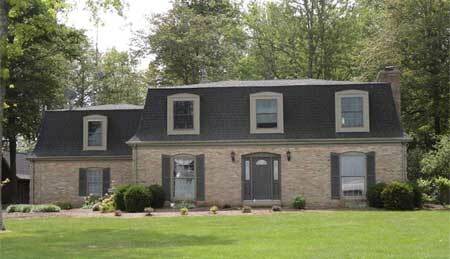 New roof on house (2013), all new 2nd story windows (2013), new septic system ($28,000.00 value) in 2015, new skylights (2012), all new flooring (2012) and entire interior of home painted (August 2017). $1,500.00 allowance to replace (2) front windows, $1,800.00 allowance for basement flooring and $1,500.00 landscape allowance. 22’ x 36’ with concrete floor, electric and heat. This building has a nice workshop. Built in 1991, with a new roof and new cupola (2014). 27’ x 45’ with concrete floor, vaulted ceiling with basketball hoop, loft area for storage and electric. Built in 1998 with a new roof and new cupola in 2014.